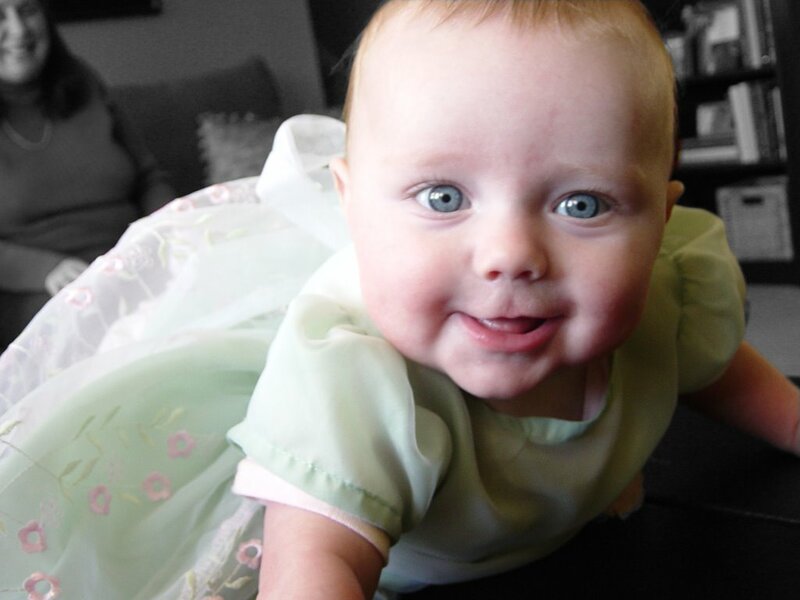 Mommom and Pappy picked out this pretty dress for Michaela's dedication. She is just so pretty!! What a pretty dress, too!